Trubies tonight is the night, TRUE BLOOD returns with the premiere of its sixth season and we are excited. So get your comfy chair ready, your bottle of True Blood, your fangs ready and get ready for new awesome hotness of our favorite show. On tonight’s premiere called, “Who Are You, Really?” now packmaster, Alcide (Joe Manganiello) discovers that The Job comes with unsavory side dishes, but other major perks. Did you watch last season’s finale? If you want to catch up, you can read our full and detailed recap here. 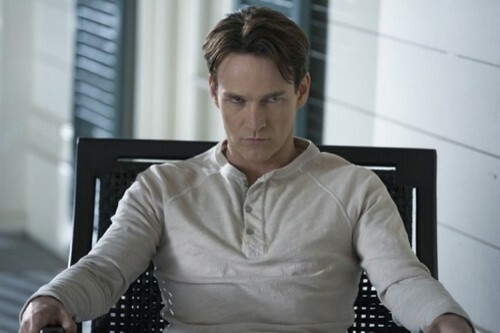 On tonight’s show in the wake of Bill’s (Stephen Moyer) blood-soaked reincarnation, Sookie (Anna Paquin), Eric (Alexander Skarsgard), Jason (Ryan Kwanten), Jessica (Deborah Ann Woll), Tara (Rutina Wesley), Pam (Kristin Bauer van Straten) and Nora (Lucy Griffiths) flee the Authority compound as Sam (Sam Trammell), Luna (Janina Gavankar) and Emma (Chloe Noelle) dodge swarming guards. Now packmaster, Alcide (Joe Manganiello) discovers that The Job comes with unsavory side dishes, but other major perks. In Bon Temps, Andy (Chris Bauer) deals with parenting four newborn human-faerie hybrids. Meanwhile, Louisiana Governor Truman Burrell (Arliss Howard) vows open season on vampires. Jessica returns to Compton Place as Jason hitches a ride with an eerie stranger. Tonight’s episode is going to be another bloody exciting one, which you won’t want to miss. So be sure to tune in for our live coverage of HBO’s True Blood — tonight at 9PM EST! Remember also to bookmark Celeb Dirty Laundry and check back here for our live True Blood recaps, reviews, news, and spoilers! While you wait for our recap, we have tons of spoilers for tonight’s episode and the new season you can read them all, HERE and HERE and HERE and HERE. TRUE BLOOD SEASON 6 PREMIERE LIVE RECAP, CLICK HERE ….